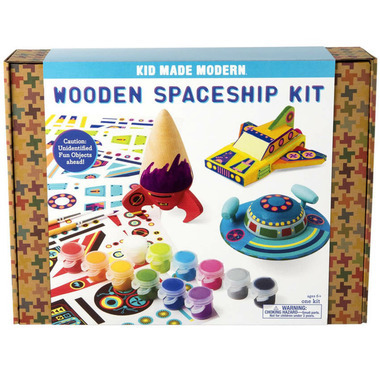 Transport yourself to another galaxy with this out-of-this-world Wooden Spaceship Kit! 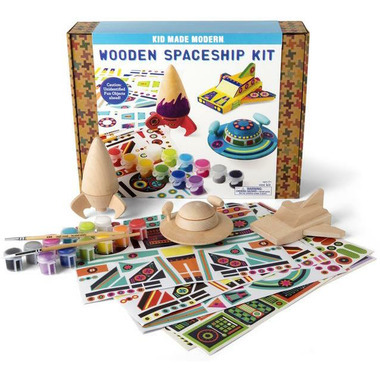 Inside you will find 3 wooden spacecrafts, 6 colourful printed sticker sheets, 12 acrylic paints and 2 brushes—customize your own space fleet! 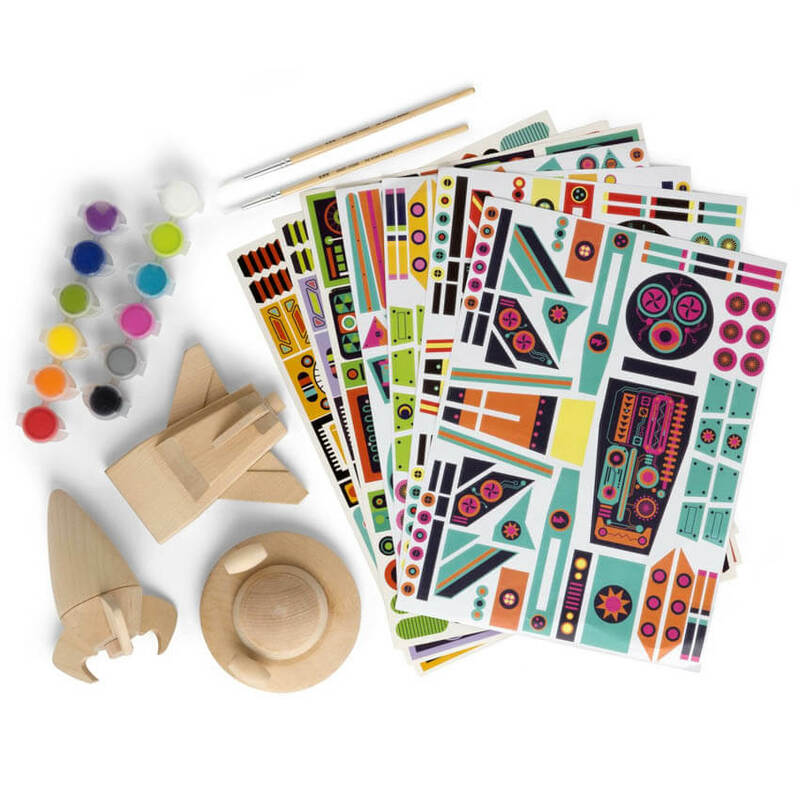 Kit Includes: 3 wooden spacecrafts, 6 colourful printed sticker sheets, 12 acrylic paints, 2 brushes.